Hard Drive/SSD Upgrade- $75 - Includes cloning your existing hard drive and installing the new solid state drive into your system. 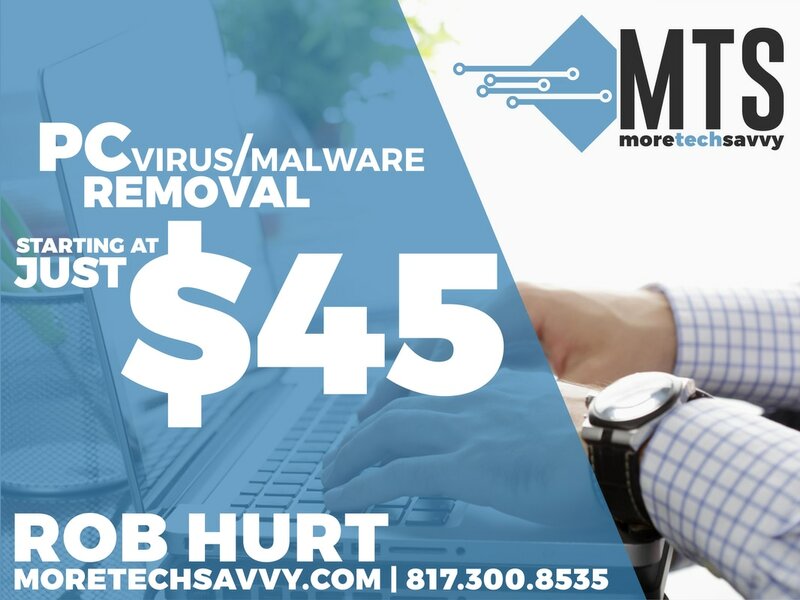 For an additional $25 concierge fee, I will order and receive your drive, pick up your system and deliver it back to you after the work is complete (some restrictions may apply). One thing I have always prided myself on is offering “HELP! for a lot less than you might think”. I will always be significantly cheaper than the guys at the computer store, and as always, if I cannot help you and you have to go to them, there is no charge for my work. I am working to standardize my prices which, unfortunately, will be an increase for many of my earliest customers. If your job does not have a flat rate quote, my standard hourly rates will be $30/hour.